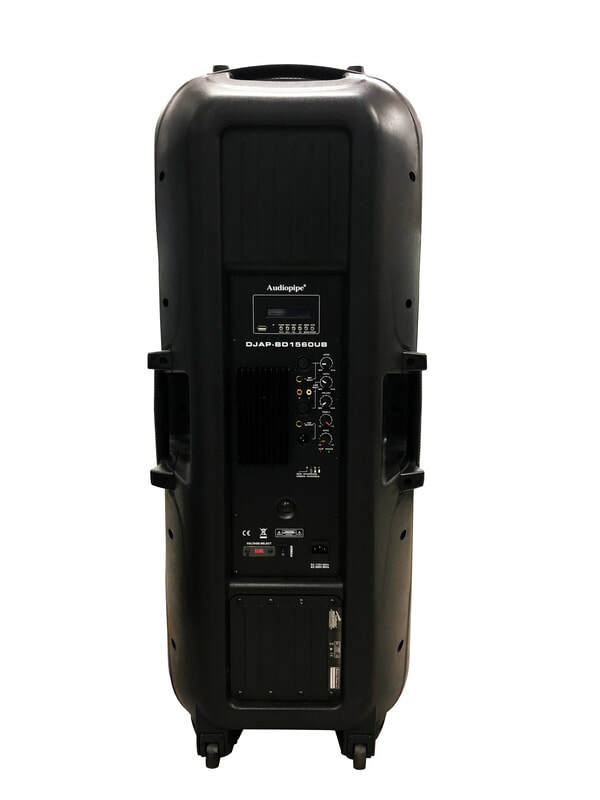 The DJAP-BD1560UB offers a complete rechargeable battery powered PA solution for a variety of applications. Perfect for outdoor applications where AC power is not an option. 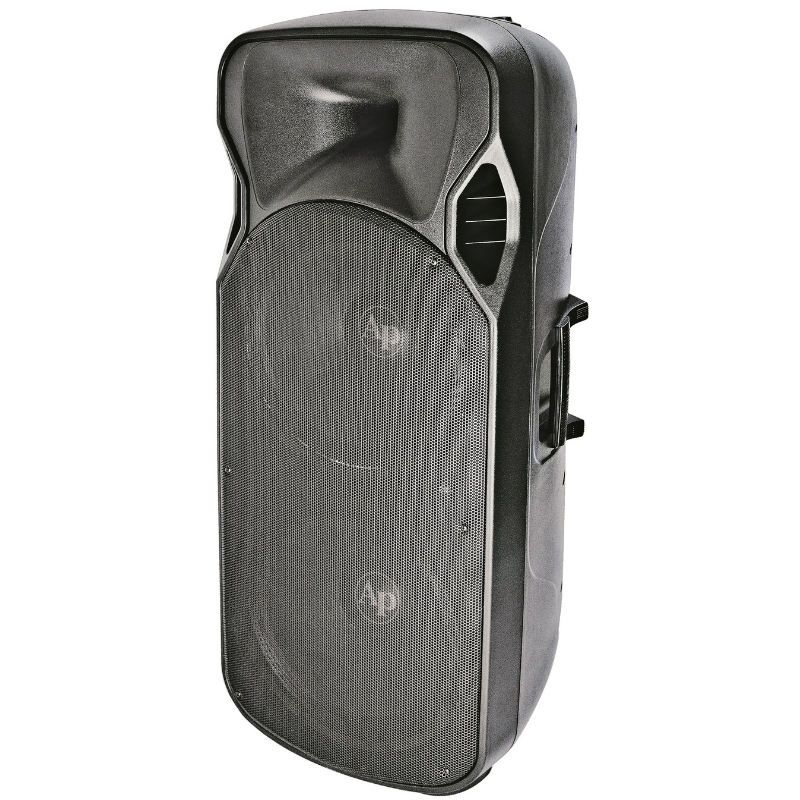 Great for School Systems, Park Departments, Recreation Centers and Outdoor music venues and many others. Two 15’ woofers and large titanium horn guarantee maximum coverage in demanding situations. This unit is Bluetooth compatible and comes with built in MP3 player.